The most common brands of diesel engines for pick-up trucks are Cummins, Power Stroke and Duramax. Dodge trucks have Cummins engines; Ford trucks have Power Stroke engines and Chevrolet trucks have Duramax engines. These engines are generally similar in terms of configuration and performance. Truck buyers will therefore need to consider the smaller differences between these engines when making their selection. Here is a 2017 diesel pick-up truck buyer guide to help you narrow your selection. 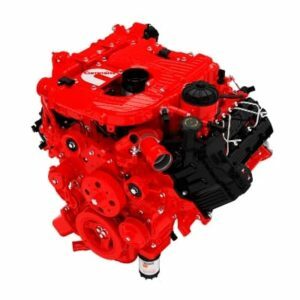 The Cummins B Series of diesel engines have a straight-in-line configuration and are widely used in many applications such as a daily-driver pickup trucks, various construction equipment, and buses. This series was first manufactured in 1984, although it wasn’t particularly popular until it appeared in the Dodge Ram beginning in 1989. 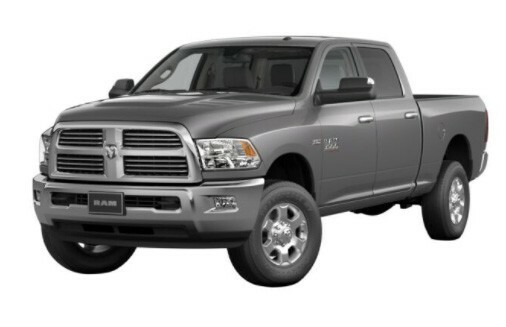 The Ram was originally released with 400 pounds-feet of torque, setting it apart from its competition. This engine was initially manufactured within the United States, specifically in North Carolina. Over the years manufacturing plants were created in the United Kingdom, Turkey and Mexico, among others. Cummins engines have a “variable, two-stage, turbo-compounding and waste heat expander technologies” that were “specifically developed to deliver higher efficiency and lower cost” (www.cummins.com). 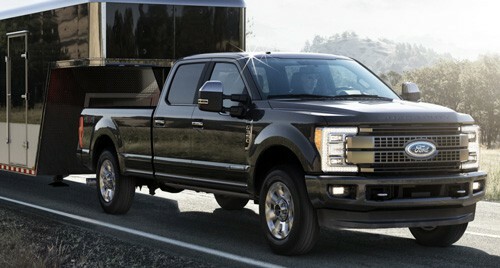 The latest version in this series is the B6.7, which is a straight-six engine used primarily in light pick-up trucks. According to Cummins, they’re currently working on developing assisted turbocharging, new bearing systems and enhanced compressor stage performance. Currently, the most recent version in this series is the B6.7, which is a straight-six engine used primarily in light pick-up trucks. The Power Stroke line of diesel engines is primarily used in Ford vehicles such as trucks, SUVs, vans and commercial vehicles. They are V8 engines that were originally manufactured by Navistar International Corp. from 1994 to 2010, although Ford has manufactured Power Stroke engines in-house since then. These engines are most competitive in the full-size pickup market of the United States. According to Power Stroke Hub, more than 500,000 6.7L Power Strokes were sold in the engine’s first three years of production. The Duramax family of diesel engines has been in production since 2001. They’re manufactured by General Motors and Isuzu as a joint venture under the company name DMAX. DMAX is manufactured in Moraine, Ohio, boasting over 1.5 million Duramax diesel engines created at the facility as of May of 2012, and more than 2 million created as of 2016. 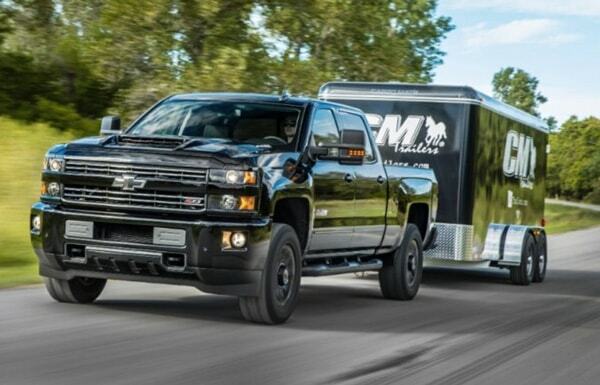 Duramax engines primarily appear in Chevrolet and GMC medium-duty trucks, pickups and vans. The performance of the Cummins B6.7 depends on the specific vehicle, like all engines. It generates 350 horsepower in the 2007 Dodge 2500/3500 series of light-duty pickup trucks. This engine’s torque is 650 pound-feet of torque when mated to the 68RFE six-speed automatic transmission and 610 pound-feet with the G56 6-speed manual transmission. The performance of the Cummins B6.7 in the 2500/3500 series has gradually increased since 2007. For example, the 2015 2500/3500 produces 385 horsepower and 865 pound-feet of torque with the Aisin ASC69RC automatic transmission. The B6.7 produces 305 horsepower and 610 pound-feet of torque in the Chassis Cab for the 2010 to 2012 model years. These figures increase to 325 horsepower and 750 pound-feet respectively for the 2013 and later models with the Aisin ASC69RC automatic transmission. The first Power Stroke 6.7L engines produced 390 horsepower, although Ford updated the control software shortly after it entered production in 1994. This improvement increased the engine’s performance to 400 horsepower and 800 pound-feet of torque. It also improves fuel economy without any modifications to the engine. Ford provides this software update to its customers through dealerships at no charge. Ford improved the exhaust, fuel injectors and turbo for the 2015 engines, increasing their output to 440 horsepower and 860 pound-feet of torque. The routine maintenance of diesel engines primarily includes oil and oil filter replacement. The Cummins and Power Stroke engines have a wide range of approved oils and oil filters. Power Stroke and Duramax engines also add urea to the exhaust, which reduces the nitrogen oxides in the exhaust. This feature reduces the engine’s production of pollutants but also increases the cost of the engines. Duramax engines require a specific brand of oil. Dodge offers a 5-year/100,000-mile Diesel Powertrain Limited Warranty2 for their Cummins engines, and a 5-year/60,000-mile Gas Powertrain Limited Warranty3 for their gas-powered vehicles. The Power Stroke engines have a 5-year/60,000-mile warranty, while the Duramax engines have a 5 years or 100,000 miles warranty for their 2500 and 3500 Series Heavy Duty (HD) Pickups equipped with a 6.6L Duramax Turbo-Diesel engine. Ford, Chevy and Dodge each have competitive pickup truck options for buyers who are looking for a vehicle with a diesel engine in 2017. The Cummins, Power Stroke and Duramax each have minor differentiating features that continue to be updated and improved year after year. By reviewing the information above, as well as each truck brand, buyers may have an easier time making their truck – and diesel engine- selection.